The CLA45 AMG Shooting Brake will be unveiled in Geneva in 2915, and Mercedes has revealed its preliminary information today. With an affordable price tag and matching good looks, the 2014 to 2015 Mercedes-Benz CLA became a popular item as soon as it hit showrooms. 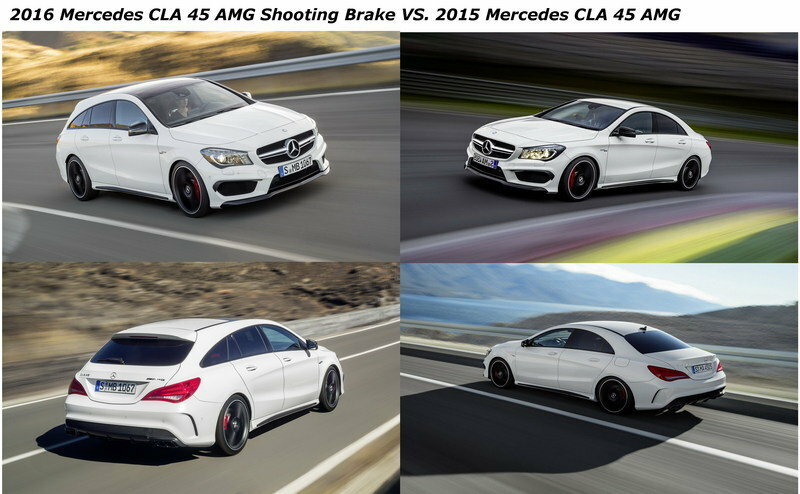 That success has inspired the Germans to expand the CLA lineup to include a beefed-up 2014 CLA45 AMG and a CLA Shooting Brake. With the former already on sale since the 2014 model year, Mercedes is finally rolling out wagon versions — Shooting Brakes, as the company likes to call them — for both four-door coupe models. The CLA45 AMG Shooting Brake breaks cover as we enter the 2015 model year, with its public debut set to take place at the 2015 Geneva Motor Show. With the CLA45 AMG already available in U.S. dealerships, the Shooting Brake model is as familiar as it gets, with only the longer roofline and sloping tailgate setting it apart from its sedan sibling. The AMG-badged wagon is both powerful and fast, despite being a massive departure from AMG’s traditional V-8 and V-12 powerplant strategy with its 2.0-liter four-banger. 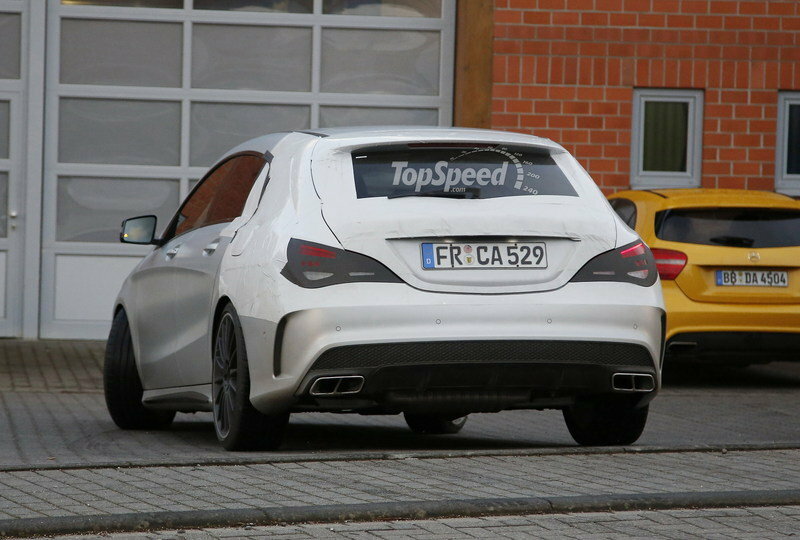 You might as well call it the CLS63 AMG Shooting Brake’s baby brother; no one will mind. Read on for the full details. Updated 08/28/2015: For the 2016 model year, the CLA 45 AMG Shooting Brake receives the same output as the facelifted 2015 Mercedes-AMG A45 AMG, meaning that it gets to play with 381 horsepower instead of 360 horsepower, while the 0-62 mph acceleration takes place in 4.3 seconds. 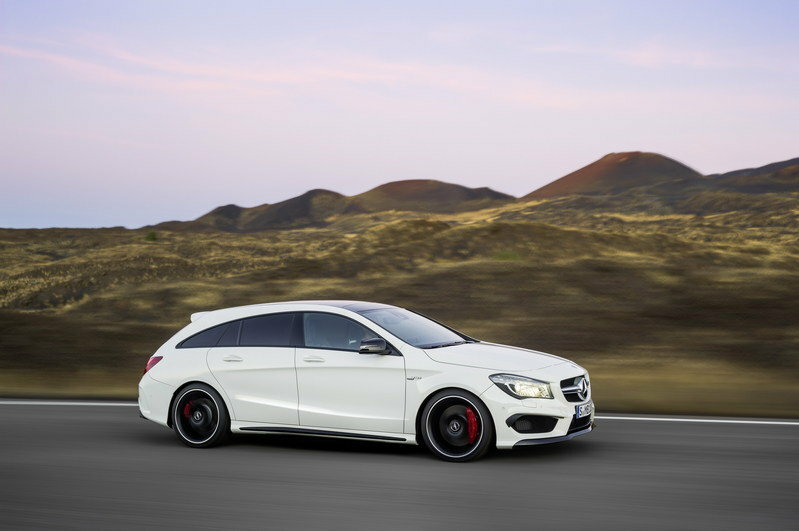 Click past the jump to read more about the 2015 Mercedes CLA45 AMG Shooting Brake. Essentially a more compact CLS63 AMG Shooting Brake, the CLA45 AMG Shooting Brake is a CLA45 AMG with a long roofline and sloping tailgate. It might sport the same front fascia, and the same bumper and taillights around back, but it’s downright gorgeous to look at. Okay, maybe it’s not as engaging as the CLS63 AMG, but that shooting brake roof and rear end fits this extremely aerodynamic Merc like a glove. There isn’t much to say about the exterior design since we’re already familiar with the AMG45 AMG sedan. The only difference lies at the rear, where the elongated roofline slopes down toward the bumper in a very athletic fashion, with the trunk-lid spoiler replaced by a roof Gurney flap. Other than that, we’re looking at the same aggressive details that turn the regular CLA into a fast and aggressive means of transportation. 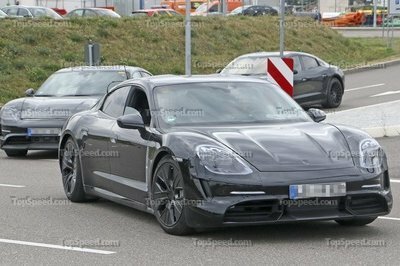 There are menacing spoilers with massive vents up front, sporty side sills, a diffuser-like insert with chrome exhaust pipes, and light-alloy wheels. The CLA45 AMG is unique to its segment and that’s just one of the reasons that makes it special. Of course, the Shooting Brake is as customizable as its sedan sibling, with numerous packages and options available, including the Carbon-Fiber, AMG Night or the AMG Exclusive packages. Options that further enhance the CLA45’s exterior include carbon-fiber mirror housings, red-painted brake calipers, 19-inch wheels finished in matte black, and many more. Lastly, the limited OrangeArt Edition brings matte Graphite Gray inserts above the side sills, orange-accented front grille, mirrors and rear apron, orange hub caps, and color-coordinated highlight rings around the headlamps. The Shooting Brake’s interior is as sporty as it is exquisite. The flat-bottom steering wheel, the paddle shifters, the bolstered seats and the red-ringed air vents remind me of AMG’s long-storied motorsport career. These race-inspired feats are complemented by a host of classy touches, such as the Artico leather and Dinamica microfiber covering the seats, the contrasting red stitching and red seat belts. The laundry list of standard equipment offered on the CLA45 AMG Shooting Brake also includes a central display with AMG start-up screen and Racetimer stopwatch, brushed stainless steel AMG sill panels, AMG floor mats, and brushed stainless steel sports pedals. Naturally, more features are available to customers opting for the AMG Exclusive or the AMG Night packages, including a trunk floor with aluminum strips and lockable aluminum handle or an electric panoramic sunroof. Buyers who go with the limited OrangeArt Edition will get orange stitching for the seats, steering wheel and special trim, as well as black seat belts with highlight stripes. All told, there’s a large amount of options to be considered before ordering the Shooting Brake, making it one of the most customizable vehicles of the compact segment. As its name suggests, the CLA45 AMG Shooting Brake is motivated by the same turbocharged, 2.0-liter, four-cylinder powerplant that debuted in the A45 AMG before being fitted into the CLA45 AMG sedan. This massively angry four-pot cranks out no less than 360 horsepower and 332 pound-feet of torque, making it the world’s most powerful four-banger in a production car. With 180 ponies per liter of displacement, the mill is powerful enough to push the Shooting Brake from naught to 62 mph in only 4.7 seconds, to go with Germany’s favorite top speed of 155 mph. The engine mates to AMG’s familiar seven-speed, Speedshift DCT, autobox, which isn’t responsible only for the lightning-quick 0-to-60 sprint, but for some outstanding fuel-economy figures as well. 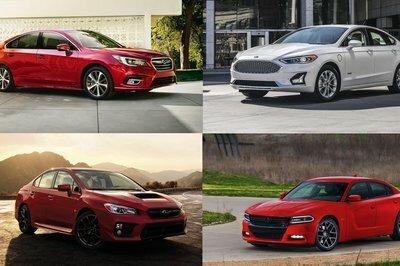 Official ratings aren’t out yet, but this wagon should return up to 31 mpg on the highway. 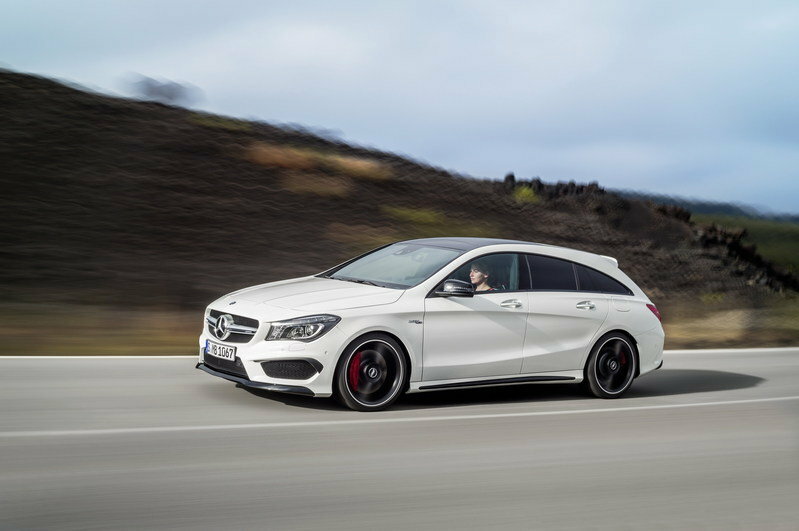 Also equipped with a performance-oriented 4MATIC all-wheel-drive system with a three-stage ESP and ESP Curve Dynamic Assist, the CLA45 AMG Shooting Brake is certain to become the most nimble compact wagon the market has to offer. Starting with the 2016 model year, the model receives the same output as the facelifted Mercedes-AMG A45, meaning that its turbocharged, 2.0-liter, four-cylinder engine develops 381 horsepower and 350 pound-feet of torque. The 0-62 mph time has been subsequently reduced to just 4.3 seconds, partly thanks to shorter gear ratios from 3rd to 7th as well. Speaking of nimble road characteristics and track skills, the CLA45 AMG rides on a tweaked chassis with emphasis on dynamic driving. The axles feature independent steering knuckles at the front and bearings that have a more rigid design compared to the standard CLA. Thus the wagon is more responsive and benefits from greater lateral acceleration capabilities. 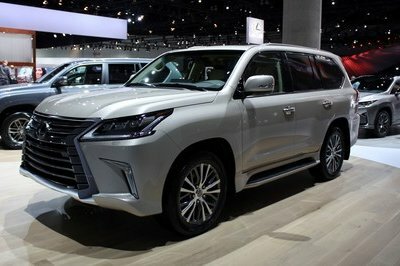 Specially tuned spring and damper elements, as well as revised anti-roll bars reduce body roll when cornering at high speed. Stopping power is provided by larger vented and cross-drilled discs with high-performance calipers at all four corners. Pricing for the CLA45 Shooting Brake starts from £42,545, which is about the same as the four-door coupe version. But unlike the latter, the wagon won’t be sold in the United States. 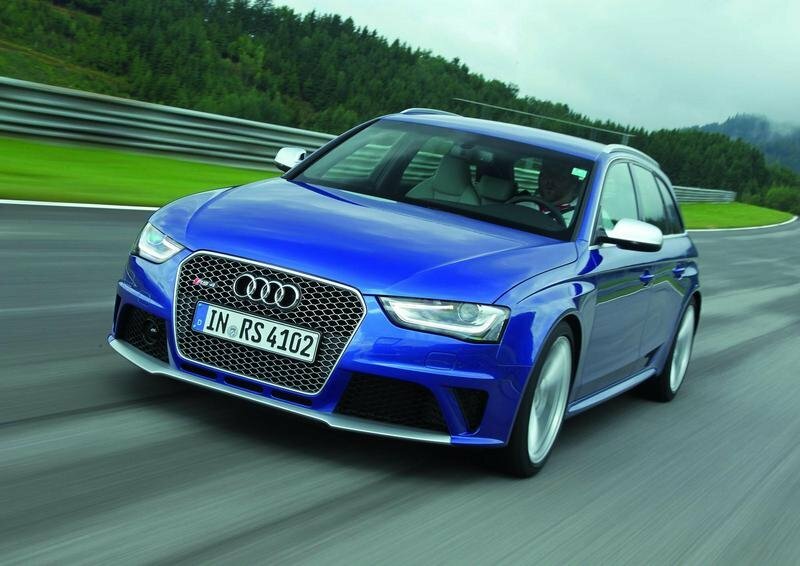 The arrival of the new Audi RS4 comes at a time when Audi is deep in its engine reshuffling that would do away with those old turbo V-8s in favor of the turbo six variety. That should have an effect on how much power the future RS4 is going to carry. While we’re not holding our breath to see the new RS4 pack the same output as its predecessor, a new turbo V-6 under its hood should still be enough to generate an output in the neighborhood of 400 horsepower. 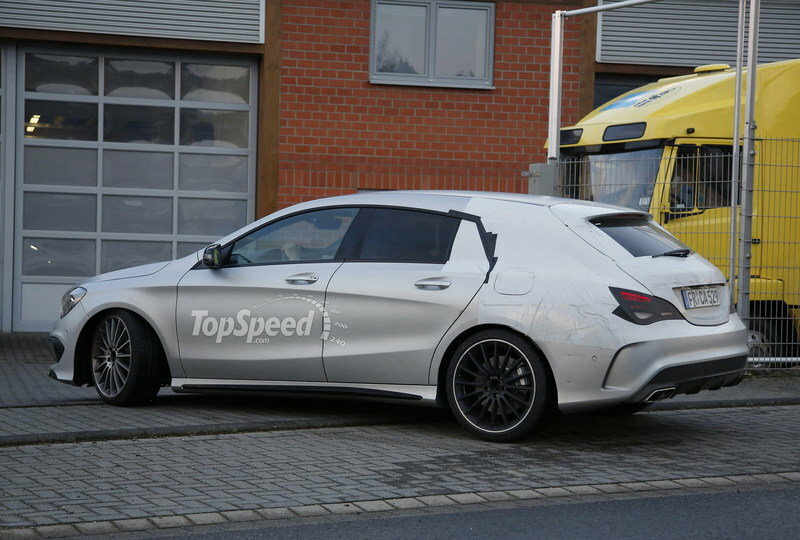 That’s going to be a nudge up to what the CLA45 AMG Shooting Brake will have, but all that is still speculation as far as the RS4 is concerned. There are many feats that make the CLA45 AMG Shooting Brake one of the most interesting vehicles to arrive in showrooms. It’s one of the prettiest wagons around — second only to the CLS63 AMG Shooting Brake — it has a tremendous engine under the hood, and it has a practical body style. It is quite expensive though, and the fact that Mercedes doesn’t plan on bringing it to the States makes our verdict that much simpler. This shooting brake will only fill a tiny niche in the market and it’s obviously not for everyone. The standard CLA Shooting Break looks like the better option if you’re looking for a daily driver with plenty of cargo room. The AMG-prepped version, on the other hand, is there to showcase what AMG is able to achieve, a statement of its racing roots and its aim to develop a beefed-up version for every Mercedes-Benz out there. That’s what makes this Shooting Brake perfect for die-hard enthusiasts. 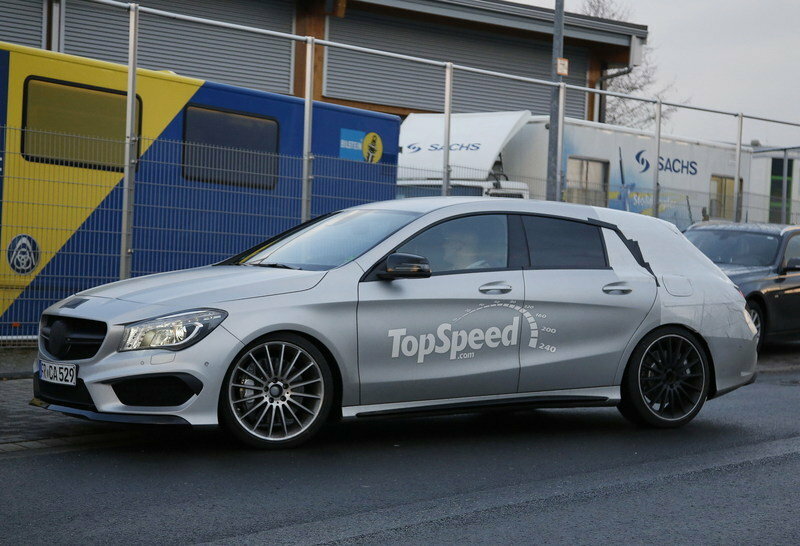 Updated 11/25/2014: Mercedes unveiled the first details on the CLA45 AMG Shooting Brake before the car’s public debut at the 2015 Geneva Motor Show. Details after the jump. Updated 03/25/2014: Today we have created a rendering of the upcoming Mercedes CLA45 AMG Shooting Brake. 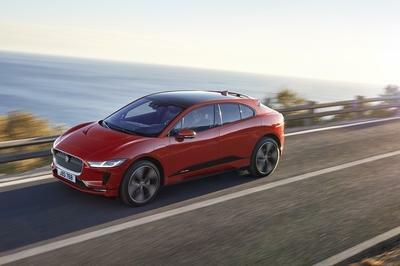 The long roofline and hatchback give away its Shooting Brake configuration, although how much of an actual appeal it’s going to have to customers is still subject to debate. Moving to the back, a subtle set of quad exhaust pipes peeking out of the back — the only part of the car that’s been heavily covered. Notice also the diffuser that runs the width of the rear, just under the bumper. It’s a welcome addition that should aid the CLA45 AMG Shooting Brake’s aerodynamics. We can say with certainty that the CLA455 AMG will carry the same 355-horsepower, turbocharged 2.0-liter, four-cylinder engine as its sedan sibling that mates to a 7-speed AMG Speedshift DCT. 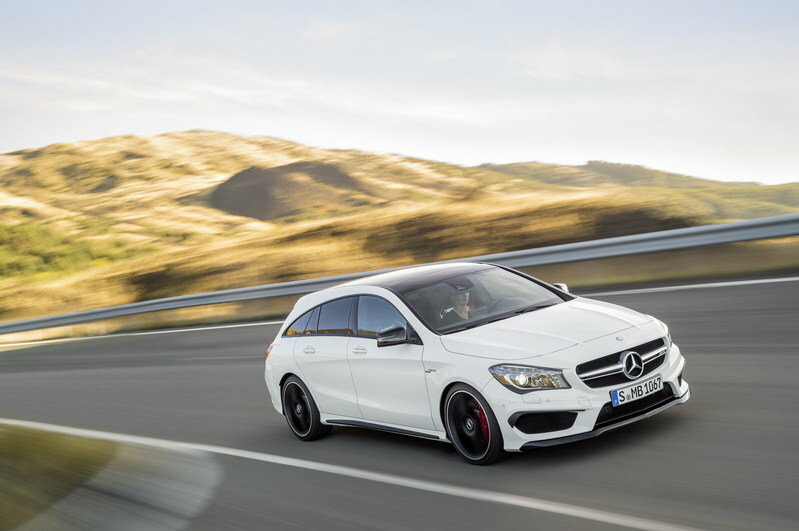 Given the extra weight, the CLA45 AMG Shooting Brake should hit 60 mph in about 4.6 seconds. Creating a rendering of the CLA45 AMG was pretty easy. We simply took the CLA45 AMG sedan, slapped on a shooting brake back end and voila: CLA45 AMG Shooting Brake. Mercedes-AMG is continuing its model initiative: following on from the successful A 45 AMG, CLA 45 AMG and GLA 45 AMG models, the Mercedes-Benz CLA 45 AMG Shooting Brake is now the fourth high-performance compact car to be brought out, and it makes a stunning impression with its unique interior concept and its unrivalled mix of thrilling driving dynamics, excellent everyday usability and tremendous individuality. The sensational avant-garde concept of the CLA 45 AMG Shooting Brake offers yet another highly attractive means of entering the fascinating world of AMG. With an output of 265 kW (360 hp) and peak torque of 450 Newton metres, the 2.0-litre turbo engine is the world’s most powerful four-cylinder engine in series production. "The continued high demand for our high-power compact models more than justifies our decision to launch another exceptionally dynamic high-performance car in the form of the new CLA 45 AMG Shooting Brake," remarked Tobias Moers, Chairman of the Board of Management of Mercedes-AMG GmbH. "This means that Mercedes-AMG now boasts the most varied model line-up in this segment. The CLA 45 AMG Shooting Brake serves up an enthralling blend of supreme power and dynamic handling on the one hand plus efficiency and everyday practicality on the other, all beautifully packaged within an extraordinary design." The fourth high-performance compact car from Mercedes-AMG adopts the same philosophy as the successful CLS 63 AMG Shooting Brake by taking the form of a sports car with five seats and a large tailgate. The five-door newcomer plays out its role as an individual, extravagant trendsetter for connoisseurs to perfection: stylish, cool and right in touch with the times, the design and dynamic performance of the compact-sized Shooting Brake from AMG will satisfy even the most discerning demands. Despite the sporty, progressive looks, featuring a roof line that slopes down gently towards the rear, low-set greenhouse, long bonnet, exaggerated, high beltline and a dynamically styled tail end, absolutely no compromises have to be made when it comes to everyday practicality: thanks to a versatile luggage compartment with a maximum capacity of 1354 litres and the increase in headroom compared to the four-door coupé, the CLA 45 AMG Shooting Brake is the perfect companion for day-to-day driving. At the same time, it lends itself to the enjoyment of all manner of leisure pursuits and is sure to delight a physically active target group that enjoys a design-oriented lifestyle and is constantly on the lookout for new trends. The CLA 45 AMG Shooting Brake comes equipped with an impressive engineering package to deliver the desired highly dynamic performance. The most powerful series-production turbocharged four-cylinder engine in the world promises a thrilling drive, generating a remarkable 133 kW (181 hp) per litre of displacement and catapulting the CLA 45 AMG Shooting Brake from standstill to 100 km/h in 4.7 seconds. At the same time, the fuel consumption of just 6.9 litres for every 100 kilometres (NEDC combined) also underlines the trailblazing standards of efficiency achieved by Mercedes-AMG. The list of technical highlights also includes the AMG SPEEDSHIFT DCT 7-speed sports transmission, fully variable AMG Performance 4MATIC all-wheel drive, the powerful braking system and a chassis that has been purpose-developed, from the tuning set-up right through to the axles. As a high-performance engine belonging to the BlueDIRECT family, the AMG 2.0-litre four-cylinder turbo engine features spray-guided direct petrol injection via piezo injectors positioned centrally in the four combustion chambers with an injection pressure of 200 bar. The combination of multiple fuel injection and multiple spark ignition improves fuel economy and significantly increases thermodynamic efficiency, leading to low exhaust emissions. The CLA 45 AMG Shooting Brake therefore already complies with the Euro 6 emissions standard, including the limit for maximum particulate emissions that comes into force from 2016. In June of this year, the four-cylinder turbocharged engine achieved a memorable double at the "Engine of the Year Awards 2014" by winning the "New engine 2014" and "1.8-litre to 2-litre" categories. As far as its technology is concerned, the AMG 2.0-litre turbo unit is related to the 4.0-litre V8 biturbo engine in the new Mercedes-AMG GT that delivers up to 375 kW (510 hp). A twin-scroll turbocharger, maximum dethrottling of the exhaust system and an innovative new injection strategy result in an instantaneous build-up of charge pressure and swift generation of high torque from low revs. A positive side-effect: fuel consumption and exhaust emissions also benefit from twin-scroll technology. With a maximum charge pressure of 1.8 bar, the AMG 2.0-litre four-cylinder turbo engine leads the field on this front, too. The sports exhaust system with automatic exhaust flap control succeeds in resolving the conflicting aims of a dynamic driving experience and the long-distance comfort for which Mercedes is renowned: unobtrusive when driving at a constant speed, the engine’s soundtrack switches to AMG’s hallmark emotion-stirring tone in response to sharp acceleration and use of the double-declutching function. The AMG SPEEDSHIFT DCT 7-speed sports transmission features, three distinct transmission modes, a double-declutching function dependent on the transmission mode and a RACE START function for optimum acceleration. The strengths of the dual-clutch transmission include spontaneous gear shifts without loss of tractive power, a tailor-made control strategy based on the AMG SPEEDSHIFT functions, extremely smooth gear shifts, and a high level of efficiency. The shift times in the manual mode "M" and the sport mode "S" are extremely sporty. Quick and precise retardation of the ignition interruptions and suppressing injection under full load lead to even faster gear shifts in "M" and "S" modes, with a more thrilling sound. The transmission control fully utilises the benefits of the direct injection technology right up to the physical limits: the quicker engine response ensures that injection is suppressed with even more precision. This results in a highly fascinating shift speed and an emotional sound experience. In "C" mode (Controlled Efficiency), smooth transmission and engine characteristics support a fuel-efficient and comfort-oriented driving style. In addition, in "C" mode the ECO start/stop function is active. Another special feature designed to enhance dynamic performance and driving enjoyment is the so-called "Momentary M mode" – as seen in the new Mercedes-AMG GT sports car. AMG Performance 4MATIC – this highly sophisticated variant of the 4MATIC all-wheel-drive system provides the best possible mix of dynamism, traction and efficiency in any driving situation. This is made possible by fully variable distribution of drive torque, ranging from full front-wheel drive to a 50:50 split. A two-part propeller shaft transfers the power from the AMG 2.0-litre four-cylinder turbo engine to the rear axle. In the interests of favourable weight distribution, an electrohydraulically controlled multiple-disc clutch is integrated with the rear axle differential. The multiple-disc clutch control detects slip at the front axle. A hydraulic pump instantaneously presses the discs together and channels the engine torque to the rear wheels as necessary. All this takes place without the driver noticing. Power distribution is fully variable: during normal driving, the CLA 45 AMG Shooting Brake uses front-wheel drive for optimal efficiency. 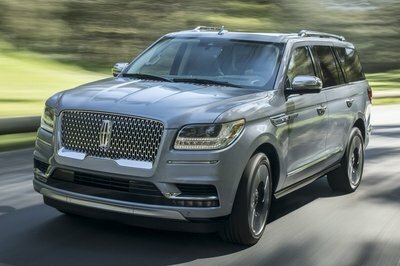 Depending on driving conditions and driver input, the variable all-wheel-drive system splits the torque between the front and rear wheels up to a ratio of 50:50. The 3-stage ESP® program offers a choice of three customised driving modes: "ESP ON", "SPORT Handling Mode" and "ESP OFF" can be activated at the push of a button. Like the other AMG high-performance compact cars, the CLA 45 AMG Shooting Brake also comes equipped with elaborate axle technology. The AMG axles feature independent steering knuckles at the front together with specially configured elastokinematics. All axle bearings have a more rigid design compared to the standard production version. These measures result in more spontaneous and direct turn-in and handling characteristics as well as greater lateral acceleration capabilities. The AMG chassis with its specially tuned spring/damper elements and more powerfully proportioned anti-roll bars forms the basis for superb lateral dynamics and reduces body roll when cornering at speed. The AMG Sport speed-sensitive steering gives the driver extremely precise control over the vehicle. The purpose-designed high-performance braking system, meanwhile, with vented and cross-drilled brake discs all round provides for dependable, instantaneous deceleration. 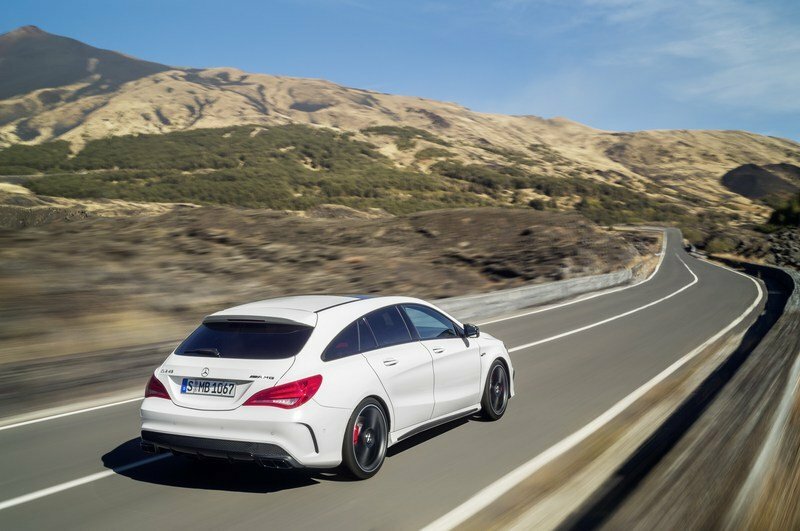 The CLA 45 AMG Shooting Brake makes its mark in style with a sporty and progressive design. Highlights when viewed from the front include the radiator grille with AMG lettering and twin louvre in matt titanium grey, along with the brand’s trademark front apron featuring a splitter in a striking colour finish. The large air intakes on the outside are framed by prominent black surrounds. Along the vehicle’s flanks, side sill panels with inserts in matt titanium grey and "TURBO AMG" badging on the front wings produce an air of sporty superiority. Various light-alloy wheels in 8 x 19-inch format with size 235/35 R 19 tyres are available as an alternative to the standard 5-twin-spoke light-alloy wheels painted titanium grey with a high-sheen finish and measuring 8 x 18 inches with 235/40 R 18 tyres. The elongated roof line that slopes down towards the rear terminates in a powerful and athletic-looking tail end. 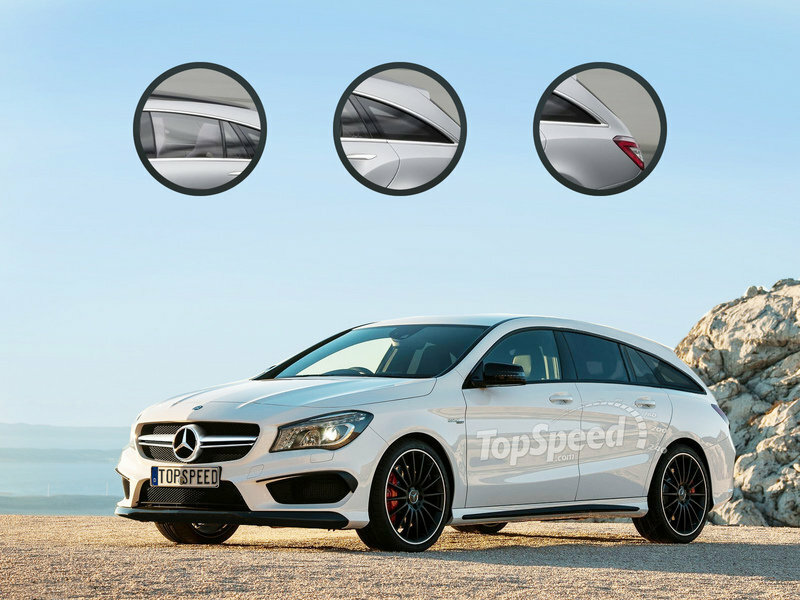 The roof spoiler with its special trailing edge is exclusive to the range-topping AMG model. Measuring around three centimetres in height, this Gurney flap, as it is known, reduces the lift that can occur at high speeds, thereby improving roadholding at the rear axle. The sports exhaust system’s chromed twin tailpipes are integrated into the black diffuser insert. Matt titanium grey trim and a rear apron with simulated air outlet openings at the sides add further visual highlights. The sense of dynamism and exclusivity so characteristic of Mercedes-AMG is also clearly apparent in the interior of the CLA 45 AMG Shooting Brake. Classy touches include the sports seats in ARTICO man-made leather/DINAMICA microfibre with red contrasting topstitching and red designo seat belts, the flat-bottomed multifunction sports steering wheel with shift paddles and the AMG DRIVE UNIT in the centre console. 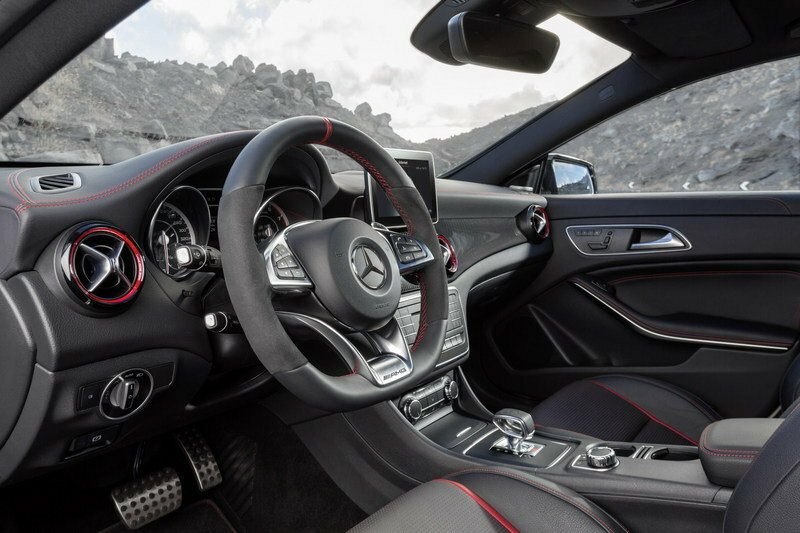 The CLA 45 AMG Shooting Brake features longitudinal-grain aluminium trim, five galvanised air vents with red rings and an instrument cluster in 2-tube look. The central colour display incorporates the AMG main menu including RACETIMER and AMG start-up screen. Customers are able to lend their CLA 45 AMG Shooting Brake an even more individual touch by opting for the Exterior Carbon-Fibre package, the AMG Night package or the AMG Exclusive package. The thrilling design of the limited-edition CLA 45 AMG Shooting Brake OrangeArt Edition special model brings added flair to the market launch. Select design features in matt graphite grey above the side sill panels give added impact to the car’s sporty lines. The splashes of orange in the AMG radiator grille, on the exterior mirrors and in the rear apron trim together with the Night package featuring black design features and chrome tailpipes produce a stunning overall effect. The multi-spoke light-alloy wheels painted in matt black also fit in perfectly with the styling, thanks to a rim flange painted orange and matching orange/black hub caps in centre-lock look. Colour-coordinated highlight rings around the bi-xenon headlamps make them stand out in spectacular style, too. Inside, the sense of exclusive dynamism is captured to perfection by the powerfully contoured Performance seats upholstered in leather/DINAMICA microfibre in black with orange contrasting topstitching and black seat belts with coordinated highlight stripes. The Performance steering wheel in DINAMICA microfibre with orange contrasting topstitching and matching 12 o’clock mark as well as the AMG E-SELECT lever further underscore this model’s exclusive character, as does the specially designed OrangeArt Edition trim. Subtle details such as the recurring contrasting topstitching and the exclusive Edition badge on the AMG DRIVE UNIT convey a sense of passion for the extraordinary. Besides the CLA 45 AMG Shooting Brake, the CLA 45 AMG Coupé is also available in OrangeArt Edition guise. The CLA 45 AMG Shooting Brake is making its show debut in March 2015 at the Geneva International Motor Show, while the market launch is also due to start in March 2015.